Get your treasure maps ready, your skull and crossbones flag unfurled and your parrot perched on your shoulder, this pirate ship is about to sail! 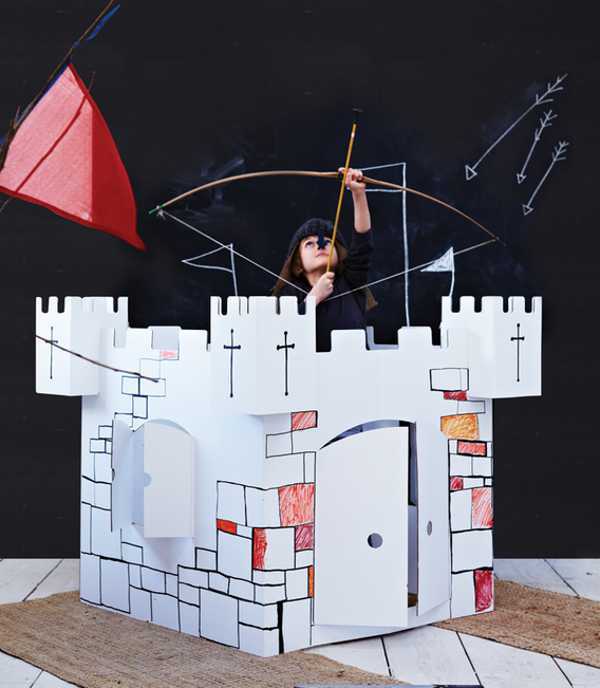 If indoor play is getting old at your place, freshen it up with this brilliant cardboard creation. Humble cardboard has always been a favourite plaything for children. Cardboard boxes can be turned into anything and we all know kids often prefer to play with things that have come from their own imagination. 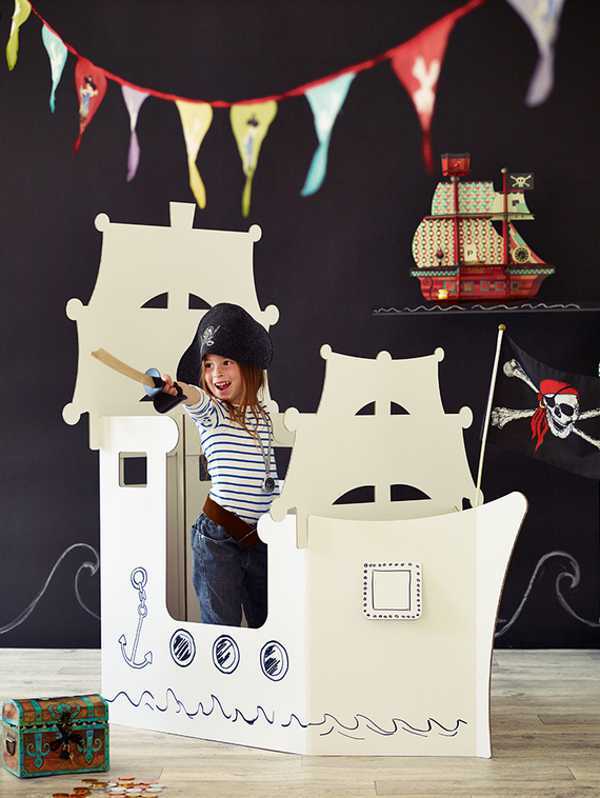 This Giant Cardboard Pirate Ship is a blend of the two. It comes as a plain white pirate ship and the little pirates can decorate it as they please. There’s also a castle version, which just as handily folds down for storage. Both the castle and pirate ship are recommended for kids aged three and over. The pirate ship is a really decent size – one and half metres high and more than a metre long. Both are available from Cox & Cox for £50 each, with shipping to Australia available.